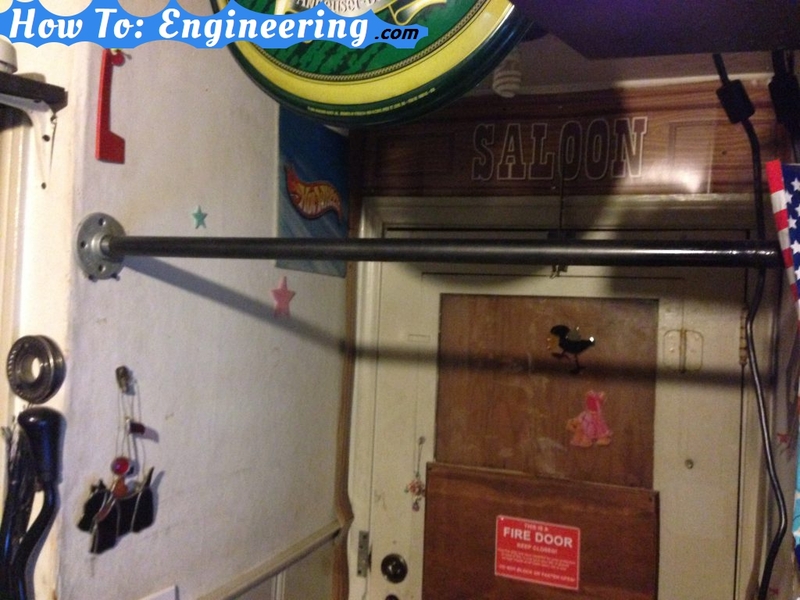 Make a light bar to hang stage lights/make a pull up bar for exercise. 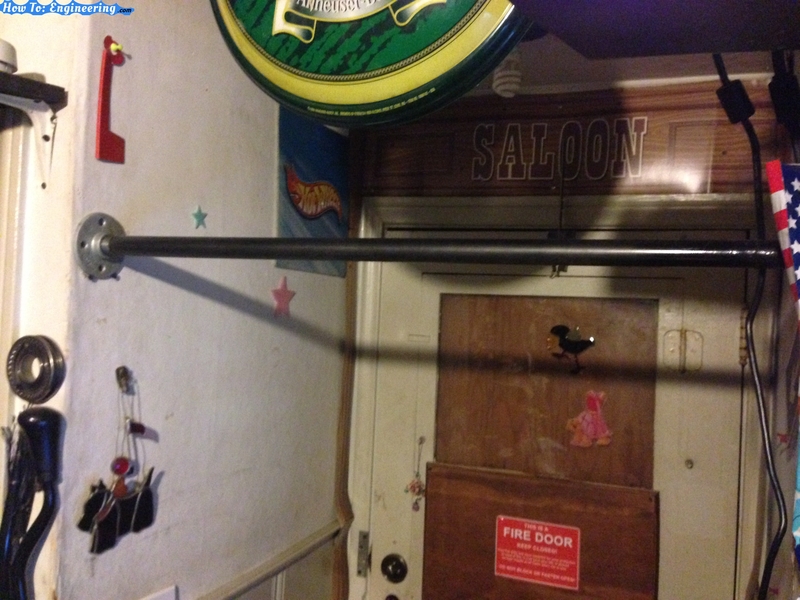 I needed a few bars: a pull up bar for exercise, and a ceiling light bar for stage lights. Both were made the same way. 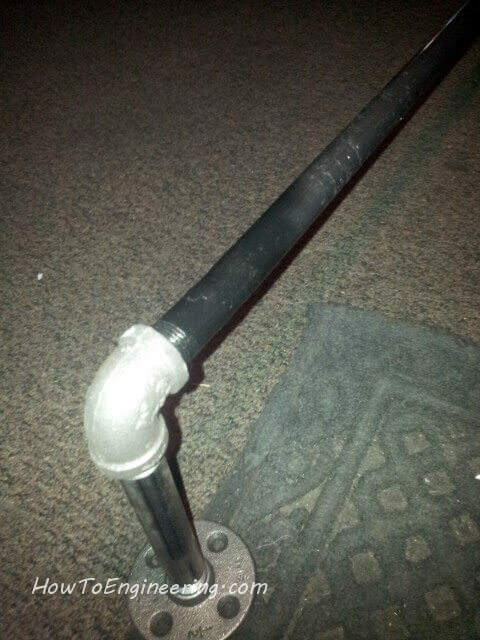 This is how I attached my pull up bar to the walls. I added 2 screws on the bottom for extra support. I do not want it to break while I am doing my pull ups. The doorway width for the pull up bar did not match the pipe length. 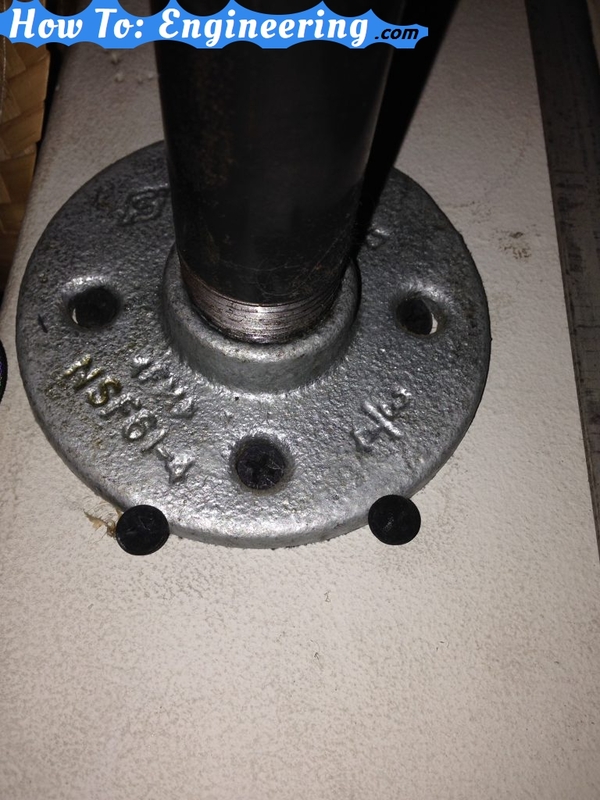 The ceiling light bar pipe length did not match the studs in the ceiling. I had to cut them to length and weld them. 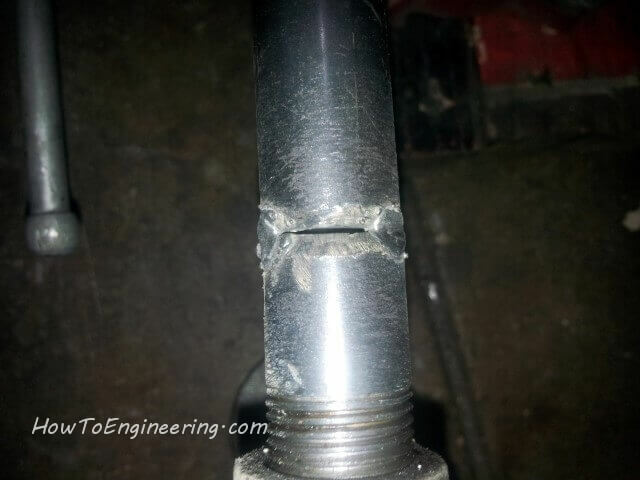 I started by cutting them, then grinding an angle into the pipe for the weld to sit in and penetrate better. 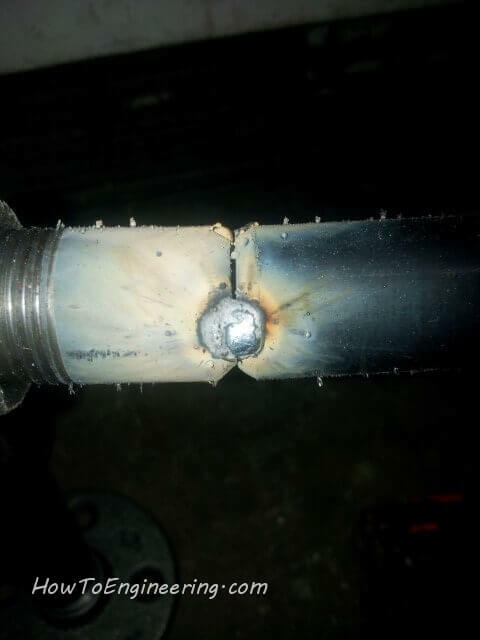 I then put 1 spot weld. Next I added a second weld on the other side. Here it is after I cleaned off the weld with my brush. The pull up bar just has the ends attached and screwed up to the walls. The rest of the pictures are going to be of the ceiling light bar. 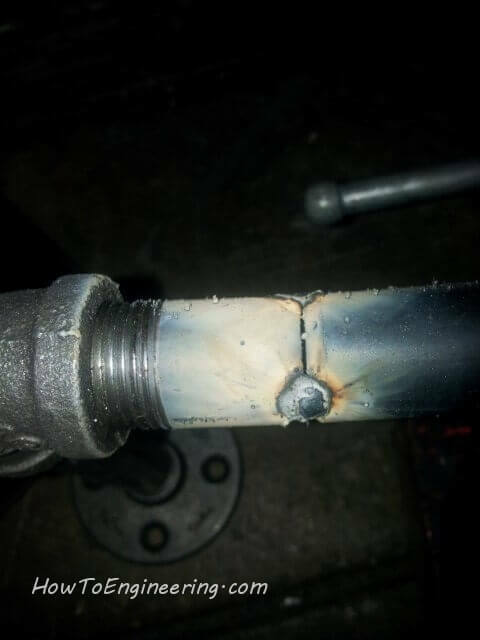 I filled in the rest of the weld, and ground it smooth with my angle grinder. A little bit of spray paint and you can’t tell anything was done. 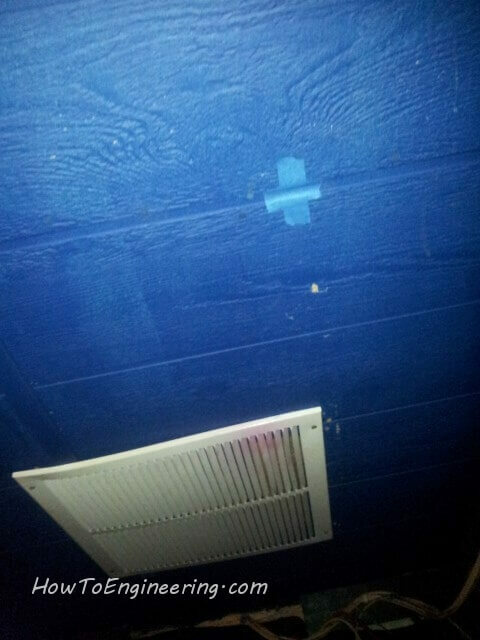 I found the studs in the ceiling and marked it with masking tape. 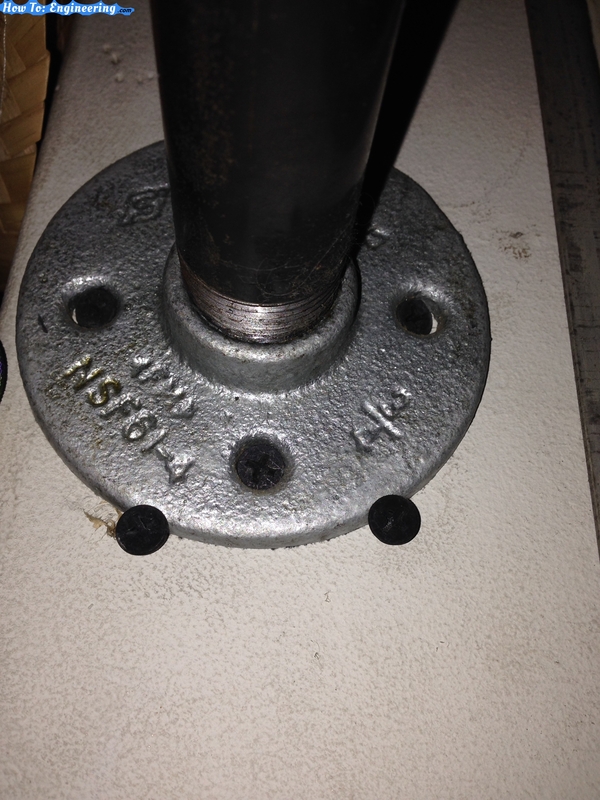 Next was to attach the pipe to the ceiling. 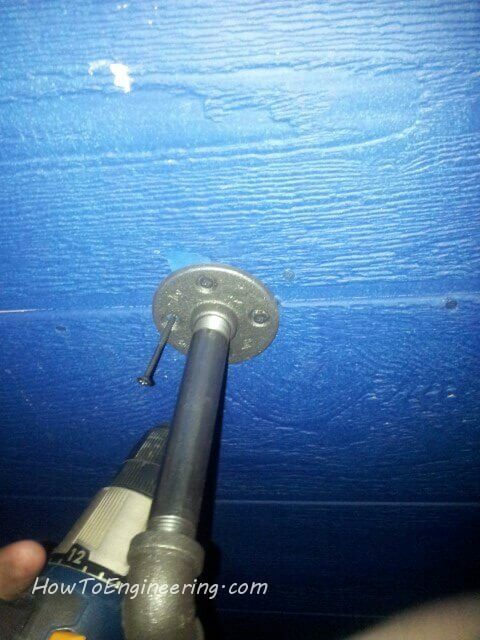 This will not hold too much weight, so these screws should be fine.